The other day I saw a bicyclist get hit by a woman in a large SUV as she inched into traffic. The driver of the SUV was not aware that she had hit anyone at first, and continued rolling forward, crushing the front fork of the bike while the rider scrambled away. It was not until he began screaming at her that she realized what she had done. First, the rider must try to keep his or her cool. 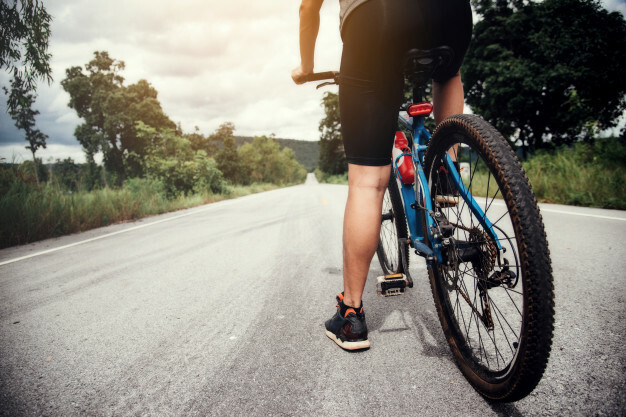 What you do in the immediate aftermath of any accident, including a bike accident, may have a big impact on how much you recover for your injuries and damage to your bike. It may also affect the outcome of any lawsuits resulting from the accident. In most cases, you should call the police. It is vital that you wait for police to arrive at the accident scene so that they can take and file a police report even if you are not personally injured. Some cyclists may not realize they have been injured until several hours, days, or more after the accident, and by that point it will be too late to document the accident scene. Also, if you leave the accident scene without a police report you may never be able to identify the at-fault driver. Do not attempt to negotiate with the driver. Many drivers initially apologize and accept blame, only to later deny their negligence or even deny they were present at the accident. Instead, wait for the police to come so they can document everything in the police report. Another advantage of waiting for the police: They may ticket the driver, which may be useful in settling the case with the insurance company. Get Your Version of Events into the Accident Report. Sometimes, the police officer will take a statement from the motorist and not bother to talk to the cyclist. Be respectful to the officer, but do everything you can to get your side of the story into the police report. And by all means, report all of your injuries, no matter how minor. Remember, those minor injuries may later become more serious.If, despite your efforts, the police refuse to include your statement in the accident report, you can later have the report amended, though this may involve a trip to the police station. If the officer will not take your statement at the scene, as soon as you can, write down every fact you can remember. Get as much information from the scene as possible, including driver and witness information. If possible, get the driver and witness names, addresses, phone numbers, driver's license numbers, and the driver's vehicle license number and insurance information. Do not assume the police report will include all of this information. If you are injured and cannot get this information yourself, ask a bystander to do it for you. As soon as possible after the accident, seek medical attention for any injuries, even if they are minor. The fact that you sought medical attention will serve as proof that you were injured, and medical records will document the extent of those injuries. Have photos taken of your injuries as soon as possible after the accident, and start a journal of any physical symptoms you might suffer in case they should develop into something more serious. Leave your bike and other damaged property where they fall after the accident. Do not start cleaning up the scene until the police arrive and document the scene. Once you get home, do not wash your clothing (particularly if blood stained) and do not send your bike, helmet, or any other equipment to anyone other than your attorney. Take photos of your damaged equipment, but remember that the equipment itself is the best evidence, not a photograph taken before it was repaired. The driver's insurance will probably cover the accident. But, do not communicate with the insurance companies before consulting an attorney. Anything you say to the insurance company could be used against you later, which is why such calls are usually taped. Sometimes a letter from an attorney to the insurance company will resolve the case for the maximum amount to which you will be entitled without further trouble. In fact, most injury cases are settled without ever going to trial. But, in case it does move forward with litigation, you will want to be sure that your case is handled properly and that a sloppy statement made in the heat of the moment to the insurance company does not prevent you from getting everything to which you are entitled. As always, it is wise to contact an attorney to assist you if you have questions about your bike accident. Most personal injury attorneys will handle such a case on a contingency basis, meaning you do not have to pay the attorney upfront, and any fees the attorney does collect are taken out of the recovery from the driver or their insurance company, so you never have to go out-of-pocket.